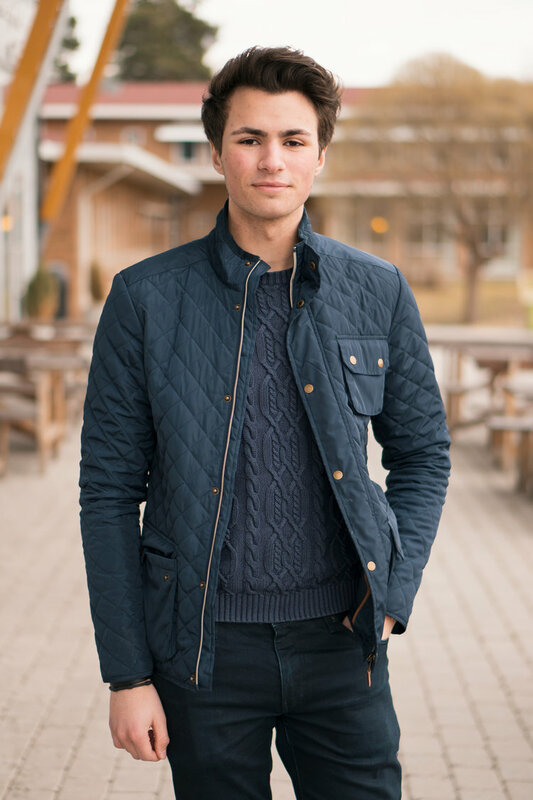 Isak went from not understanding how people could have faith, to becoming a Christian himself - because of the New Generation group at his school in Falun, Sweden. We met with Isak, who has been a Christian since April 2016, to hear the full story of his journey to becoming a person of faith. - They were so lovely that you could not, not like them. He grew especially close to one of these three. Isak felt welcomed and accepted when they hung out together and they got to know each other better and better. The three classmates were members of the New Generation group at school, and they invited Isak to the group meetings. - I knew it was a Christian school group, but I did not know what New Generation was, I learned that a little later. Isak started to go to the group meetings anyway, but he admits in the beginning it was just because of the snacks and the company. What was said about Jesus was not interesting. - One could say I started to believe in two steps, and this was the first step. - There was probably a God after all. A little time passed and Isak continued to hang out with the New Generation group. - I had continued to come to church sometimes, but I was not really a Christian yet. But I was still very curious! So I asked if I could get a Bible to have something to read. Isak says that one of the classmates he was closest to in the New Generation group had a New Testament Bible in his locker, that he gave to Isak. - I read like two chapters every day. To start with it did not mean that much to me, but I guess I got my “daily word”, Isak says and laughs. - But I kept reading by pure curiosity, because the things that was in there was pretty good. It was smart things and good life tips, sort of. When he continued to read he suddenly was filled with a feeling that he says was hard to describe. The words in the Bible came alive for him and suddenly he started to care about what was written. He realised that the God he actually believed in had a name - Jesus. - My faith became whole, says Isak. Isak tells us that after that meeting reading the Bible became extra interesting and that he read a lot in his New Testament Bible. - Then I bought the whole Bible because I had finished reading my New Testament and wanted to read more, Isak says and laughs. Life after meeting Jesus, he describes as much lighter, happier and easier in some way. - Of course life doesn't go on without any problems, but it was easier in the sense that I know God is with me in everything. I would never have become a Christian if it weren’t for the New Generation group in my school. It was through the NG-group I found the church from the start. Isak eventually became the leader for the NG-group that had welcomed him, and he continued to share his faith to his classmates, during his remaining time in school.